Frilsham’s little old flint church is in the valley, next to the Manor House and Farm and old Mill, on the road from Bucklebury to Hampstead Norreys. 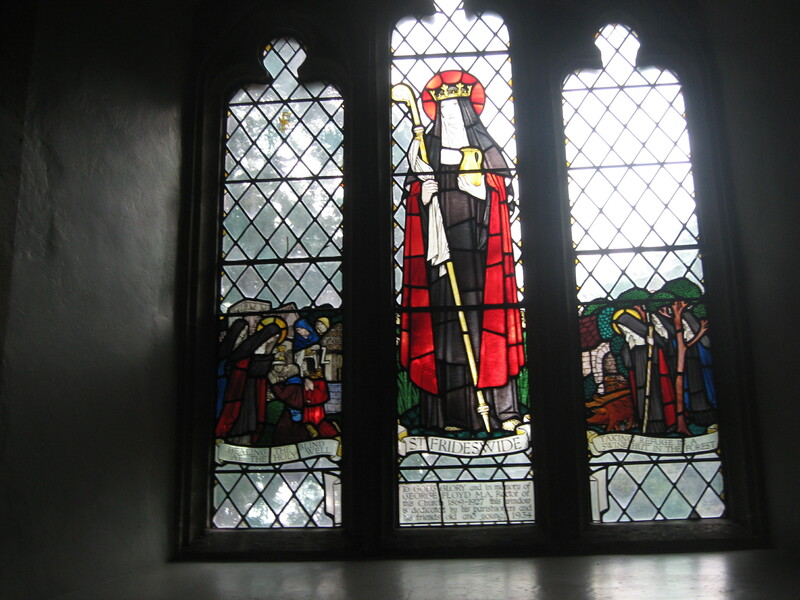 It is (we believe) the only medieval parish church dedicated to St Frideswide, the Saxon patron saint of Oxford. 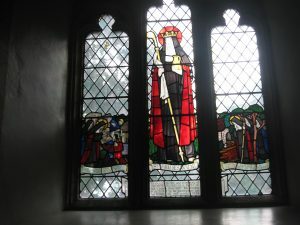 She escaped the unwanted attentions of a neighbouring nobleman to eventually found a convent on the site of Christchurch cathedral, Oxford, via, some think, Frilsham. Here she is associated with a well up on the Common where she and a few companions may have taken shelter in a swineherd’s hut. These events are depicted in the window near the porch. 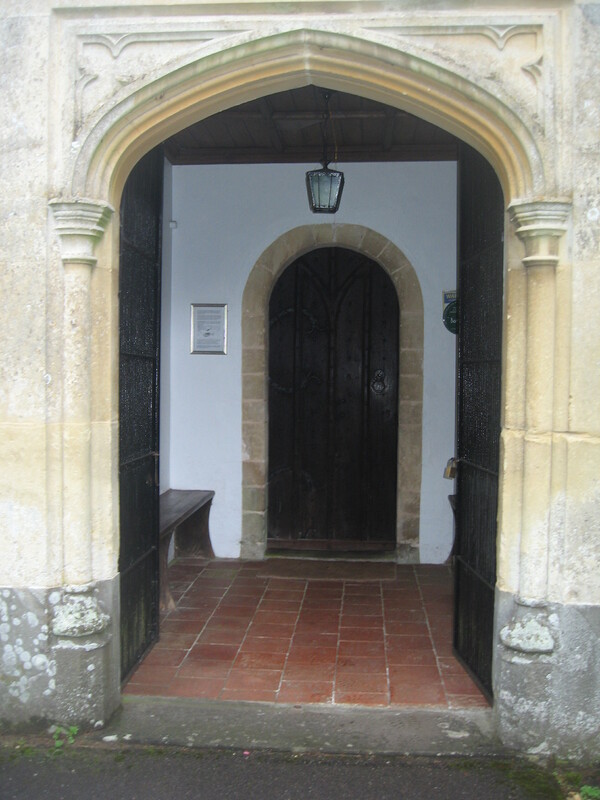 The church building is essentially Norman (12th century), though probably built on the site of an older (perhaps wooden) Saxon church. 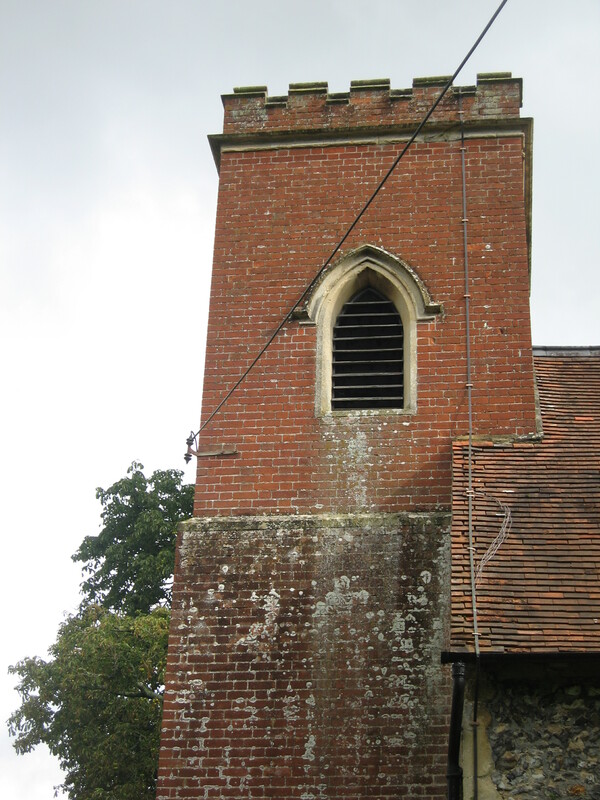 The 15th century chancel was added by Sir John Norreys (who completely rebuilt Yattendon church); and the brick tower and porch by squire Robert Floyd in the 1830s. Considerable changes were more often made to the inside: in the 17th century (roof timbers, wooden pulpit and lectern and the two bells), the mid-19th century (organ and East window), and again in 1930 (heating, organ loft, vestries and windows). The churchyard, famous for its snowdrops and winter aconites, looks as if it was originally circular, suggesting a much older pagan holy site. It is surrounded by handsome iron railings cast in nearby Bucklebury in 1824. Some of these were crushed by a falling horse chestnut tree in February 2017, necessitating a major repair including traditionally forged new railings and gate. 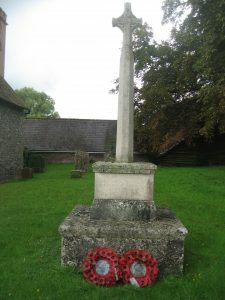 These were installed in August 2018. 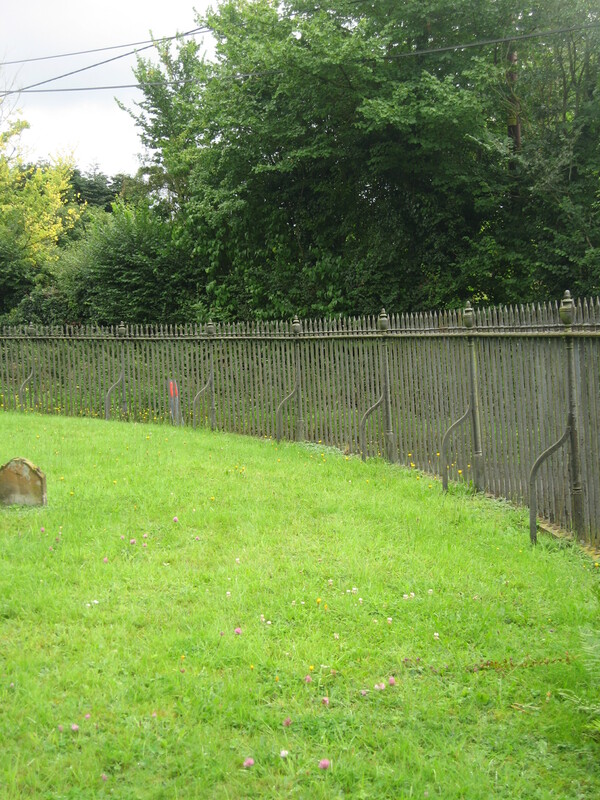 Except for cremated ashes, all modern burials take place in the graveyard extension on the other side of the road. 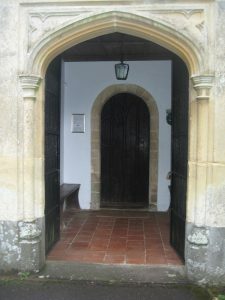 St Frideswide’s is now the second Parish Church in the united (ecclesiastical) Parish of Yattendon and Frilsham, whose part-time Associate Priest – the Revd Meg Kirby – is part of the Hermitage Team. 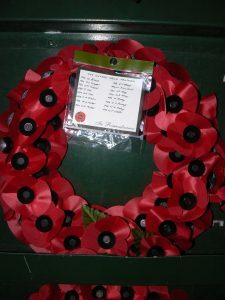 These may be varied for special occasions such as Remembrance Sunday, when there is an Act of Remembrance by the War Memorial in the churchyard at 9.25 am, followed by Morning Prayer in the church. There are extra services for festivals, especially Christmas and Easter. See noticeboards, The Broadsheet and this website for details.